The Push Pull Hoe is absolutely our favorite hand hoe! With its unique V-shaped design, this garden hoe allows you to weed more effectively and efficiently with a push-pull motion. The Push Pull Hoe has changed the game when it comes to hand weeding. Amish-crafted in Lititz, Pennsylvania, this hoe has quickly become our favorite hand hoe in the garden shed. The V-shaped head on the Push Pull Hoe allows you to weed with a push-pull motion which is much quicker and more effective than repeatedly lifting and impacting the soil with a traditional hoe. The hardened steel blade is sharpened on both sides which allows you to cut weeds in both forward and backward directions. The sharp point easily penetrates any soil type to remove the most deeply rooted weeds. Push the hoe forward to cut a weed (root and all) from the soil, then pull the hoe backward to displace the entire weed. The Push Pull Hoe also works great as a scuffle hoe. The push-pull motion allows you to skim the surface and eliminate small surface weeds. This is the perfect garden tool for close weeding to delicate plants. 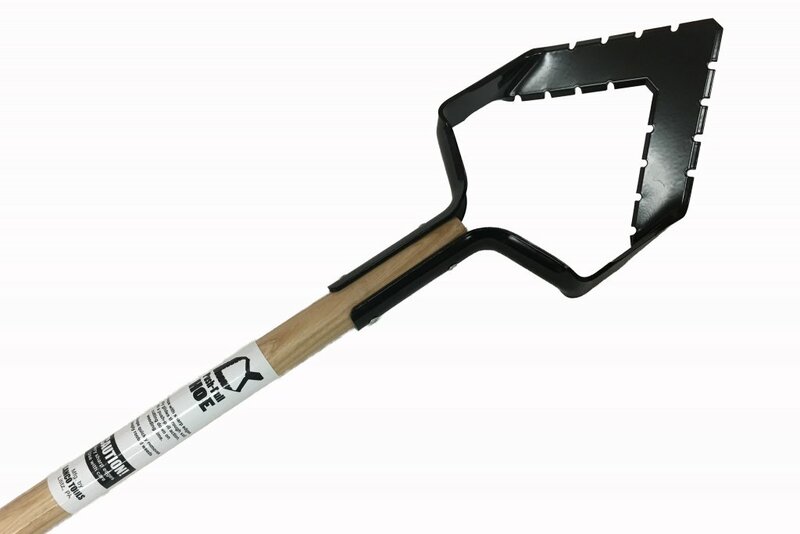 The V-shaped head allows you to weed closer to plants than any other hoe without the risk of damaging your vegetable plants. If you use drip irrigation in your vegetable garden, the Push Pull Hoe is a must-have! When using drip irrigation, weeding close to drip lines and trunk lines can be a delicate issue. Because the Push Pull Hoe easily skims underneath the soil, you can remove weeds without having to worry about cutting into your drip irrigation lines. For those trunk lines on top of the soil, this garden hoe is ideal for sliding underneath the tubing to remove all the weeds congregated around the trunk line. Once you start using it, you won’t want to put it down!